I was asked by dutch architectural office HilberinkBosch to design office tables for one of their projects in The Netherlands.The use of wood combined with rounded glass reminded me a bit of the American 'streamline moderne' architecture of the late 50-'s. It was evident that a boomerang table was the best aesthetic option for this interior. 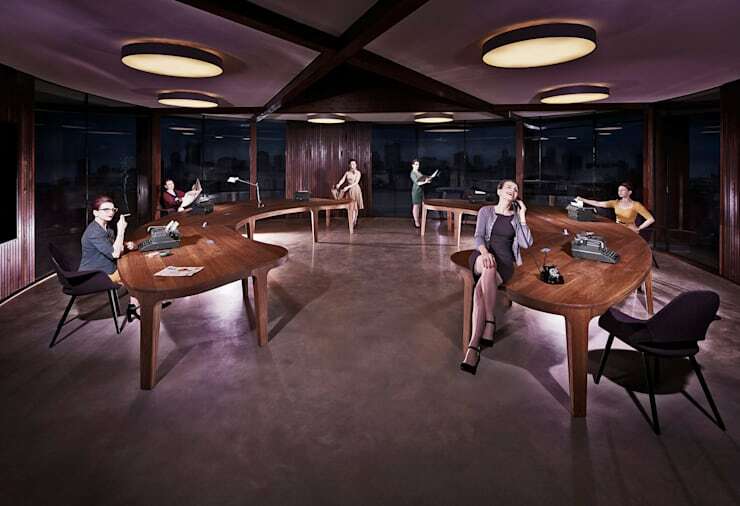 The feel of the 50's was almost re-captured after we installed the tables so we couldn't resist to make a photo inspired by the American television drama MadMen.